Just in time for Father’s Day, Fruit of the Loom has found the gift that keeps on giving in GIFs that keep on going. And this creative campaign provides brief relief to the frustrating search for Father’s Day gifts. Rather than shop in-store or online to find the perfect present for dad, simply send him a digital GIF voucher that’s good for the gear that he likes to wear. For a look at this fitting Father’s Day concept, Adweek.com gave a brief peek. 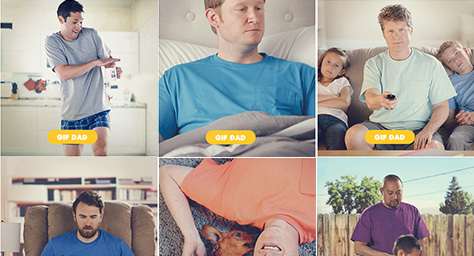 The campaign is composed of a microsite named the Father’s Day GIF Registry. It offers an array of animated GIFS with photos of dad-like behaviors and corresponding captions that make the GIFs “good” for that activity. One GIF is good for 20 minutes of naptime, while another is worth control of the remote control. And these GIF gifts can be sent and shared via Facebook, Twitter, Pinterest, and email. Of course, all are optimized for mobile viewing. And this GIF-giving inspires gift-giving through calls-to-action beneath each GIF link that lead to Fruit of the Loom’s e-commerce site where consumers can purchase the products featured. The campaign will run through June 15 and then continue on Fruit of the Loom’s Start Happy site, along with other high-quality branded content that’s all fit for social media sharing. That should ensure that this underwear campaign will go over well with consumers. Discover the latest trends in advertising. Contact MDG Advertising today at 561-338-7797 or visit mdgadvertising.com.